Obviously, my Coffee Cup Tag stamps and dies were still on my craft table! The stamp set is actually a winter holiday set – so, I FINALLY made a winter holiday card. I stamped the cup image in red ink (multiple times, using the MISTI, to get perfect coverage) and embossed with clear powder. 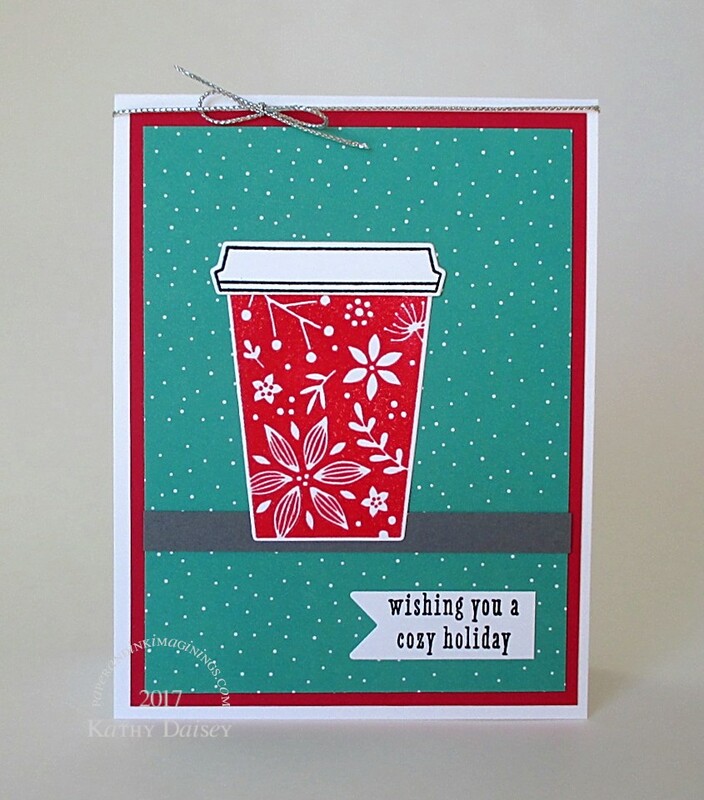 The teal paper is from Lawn Fawn’s Snow Day 6 x 6 pad. Supplies: Stamps – Hero Arts, paper – Lawn Fawn Snow Day, Neenah Classic Crest Solar White, Stampin’ Up! Basic Gray, Real Red, inks – VersaFine Onyx Black, Satin Red, dies – Hero Arts (cup, lid), Taylored Expressions (banner), embossing powder – Filigree Fine Art Powder, Ranger clear, metallic cord – Paper Mart. Categories: card, holiday | Tags: card, Hero Arts, Lawn Fawn, Neenah, Paper Mart, Ranger, Stampin' Up!, Taylored Expressions, Tsukineko, VersaFine | Permalink.